Thermoballs makes you think of little clouds of puffy balls where you could jump into and feel all cosy. And that was what The North Face probably had in mind when they created ThermoBall™ an alternative to Down, stealing the best properties of Down yet yielding better results in wet, cold weather. When I opened the packet that held the Jacket, I would’ve never believed that this jacket would keep me warm. It looked very thin, and I could not imagine the equivalent 600 Fill down claimed was going to keep its word. 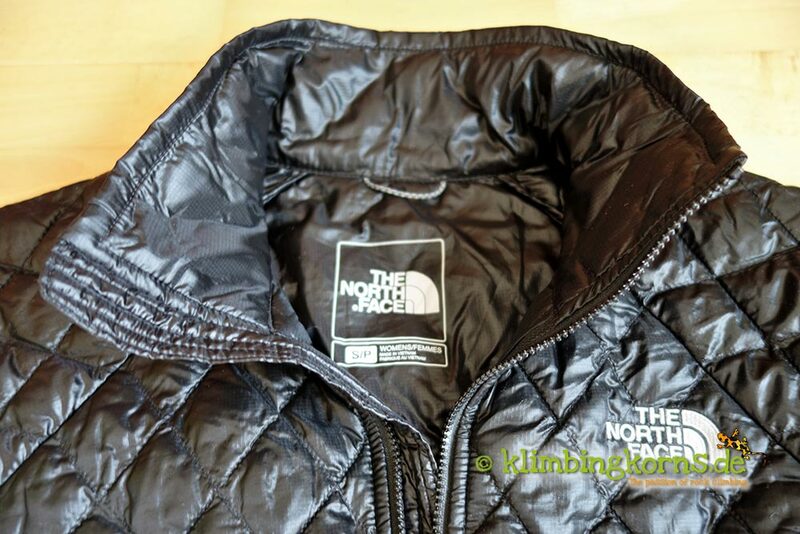 But The North Face wanted to prove me wrong, and I took on the challenge. 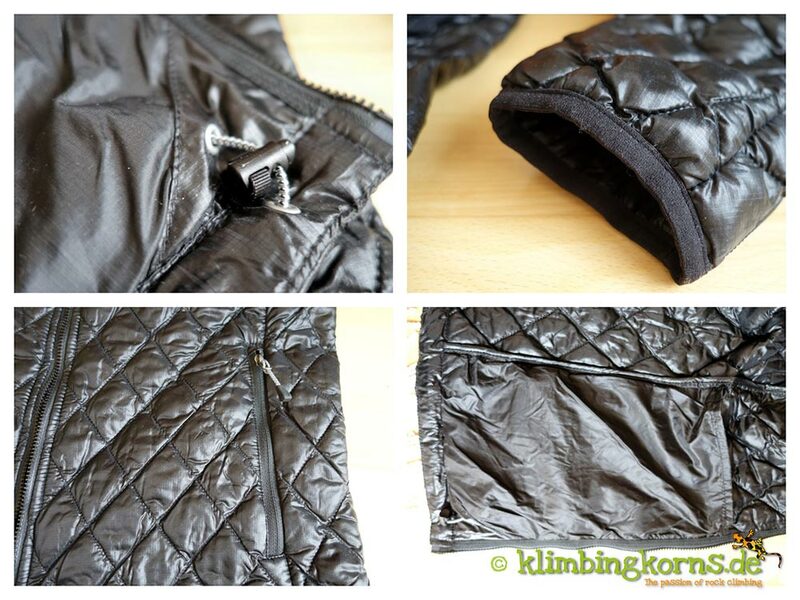 Thermoballs are little balls of synthetic insulation (powered from Primaloft®) stuffed in the jacket to keep you warm. Having more circumference on each ball instead of the conventional flat material, gave more room for trapping heat. Those ThermoBall™ took all the advantages of a down feather – soft, light, fluffy and added a feature that beats any conventional down – it continues to warm even when wet. The synthetic material is resistant to moisture and continues to warm in its wet state. Thermoballs are compressible and retains its loft once its out of it’s compressed state. I had the jacket on, on various occasions. It went on hikes, climbs, short bike sessions and it came along in the evenings in the city. I was amazed how well the jacket kept the wind out on occasions when a cold wind blew even though you could feel some getting through from the seams. I had a short sleeve synthetic tee underneath while hiking up, and had to take off the jacket at times as it became too warm for me. Because it was so thin, I had no problems combining this jacket with a hard shell (that was already too tight for me) in harsher conditions. I didn’t have to worry much about the jacket getting all sweaty, as I knew that it will still continue to warm when wet. The zippers worked well, and it was no hassle at any time. The quilt like design keeps the Thermoballs in place and prevents the insulation from slipping. The seams are well processed and fits well on the body without inhibiting your actions. The jacket is also long enough to cover and insulate the hips which is a great asset for the ladies. 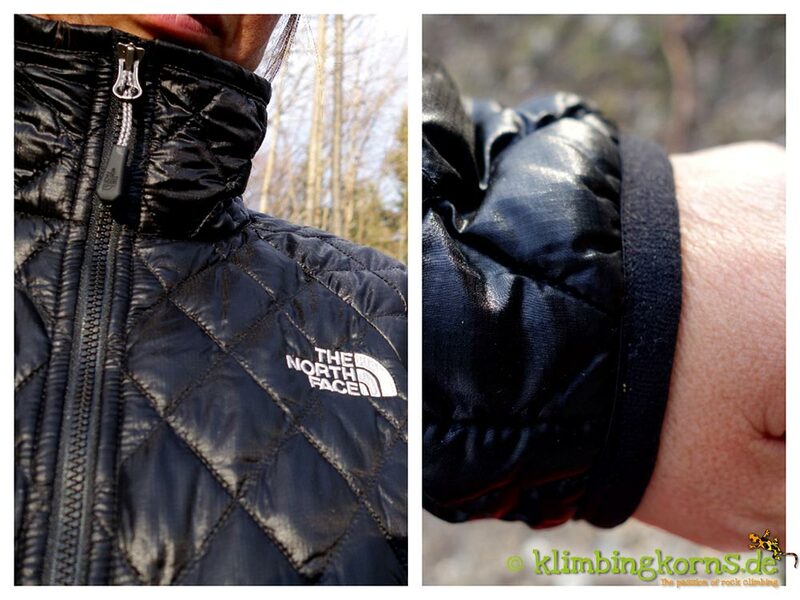 The jacket worked well too on climbing sessions when temperatures are not too low. The jacket is durable against the rough structures of the crag and works well as a sweater on windy, cold days. 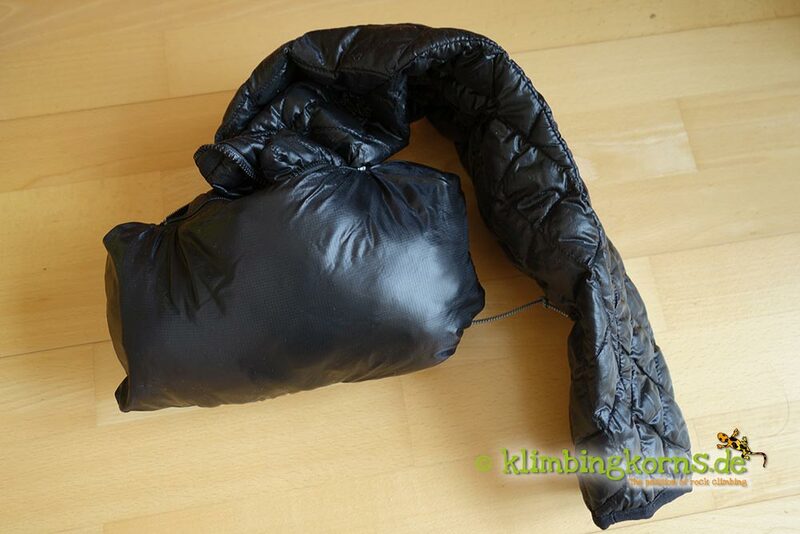 For the Belayer, it would be good to combine the jacket with a warmer layer once it drops below 10°C . I think it is quite clear that no matter what, there are remarkable differences between a down and synthetic jacket, when it comes to choosing the right jacket during low activity. Down is great while you are standing still, Synthetics are better when you are moving around a lot. So, if you’re belaying for long periods of time, you’re better off with down. The ThermoBall™ jacket is an awesome lightweight jacket that warms well in wet, lousy weather. It’s important to know what you want to achieve together with this jacket. While I would not suggest to use this jacket ALONE while belaying in chilly conditions (0°C- 10°C) or during a low activity event (e.g. evenings by your tent) it is a great companion to have in your “pocket” while being aerobicly active, conquering summits, combined together with an outer Hardshell. Check out their Thermoball products.